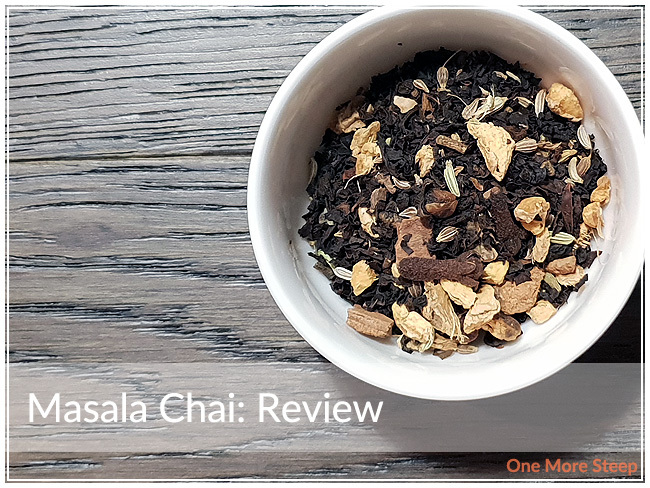 Chai Castle has provided me with Masala Chai for the purposes of providing an honest review. 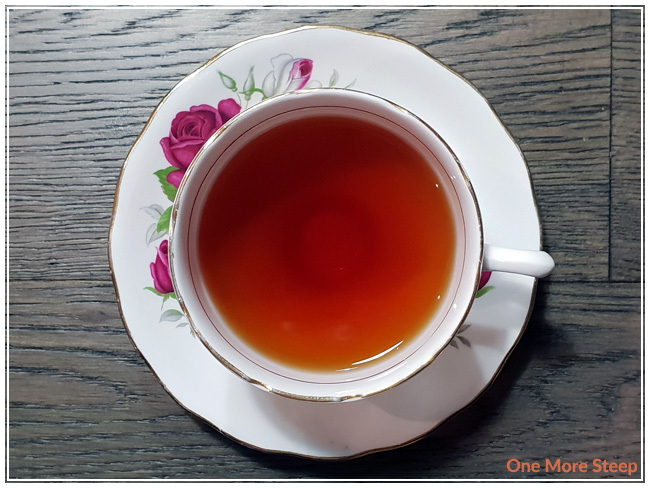 Masala Chai is one of those drinks that I can never get right on my own from scratch – I think that I’m just too heavy handed with certain spices when I try to figure it out by myself. This is primarily the reason why I leave that to the experts and use prepared blends because I never get it quite right. 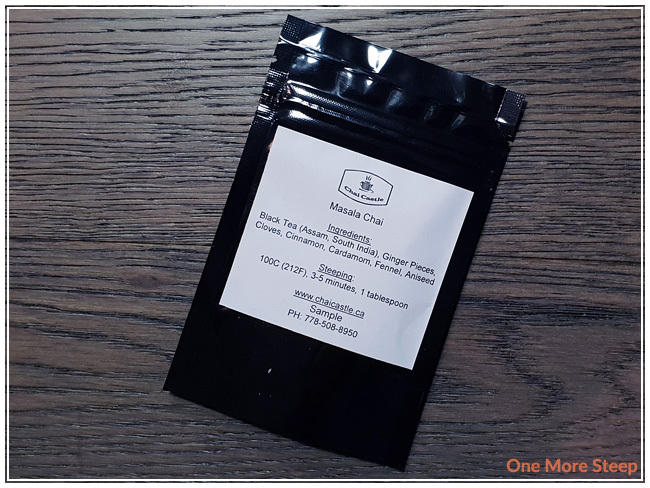 Chai Castle was kind enough to send me a sample of Masala Chai to try in a shiny resealable packet. The aroma of Masala Chai is incredibly fragrant – I can make out the ginger, cardamom, and cinnamon when I take a sniff after opening the packet. 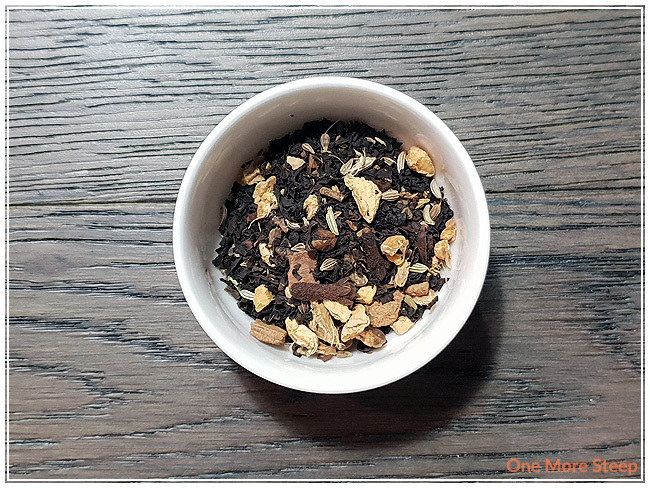 I’m almost certain that I can identify all of the ingredients as well in this blend: black tea, ginger pieces, cloves, cinnamon, cardamom, fennel, and aniseed. Chai Castle recommends steeping Masala Chai in 100°C (212°F) water for 3 to 5 minutes. My initial steep of Masala Chai was for 4 minutes. Masala Chai steeps to a beautiful deep reddish-orange colour. There’s some strong fragrances from the steeped tea – primarily that of the ginger, cardamom, and ginger again. This Masala Chai has some very nice flavours. I found a good balance between the ginger and cinnamon. I find the cardamom wasn’t as strong as I usually prefer, and the fennel was very noticeable at the end of each sip. I found that the initial steep had a nice, light sweetness to it. I brightened up the flavours a bit by adding a small bit of local honey. It helped to bring out the cardamom flavours in the tea blend. I resteeped Masala Chai once, adding an extra 30 seconds for the resteep time. I found that the flavour was pretty consistent with the initial steep, with all the flavours slightly weaker. However, the balance of the flavours held up well with being resteeped and it was palatable for a resteep. I loved Chai Castle’s Masala Chai. 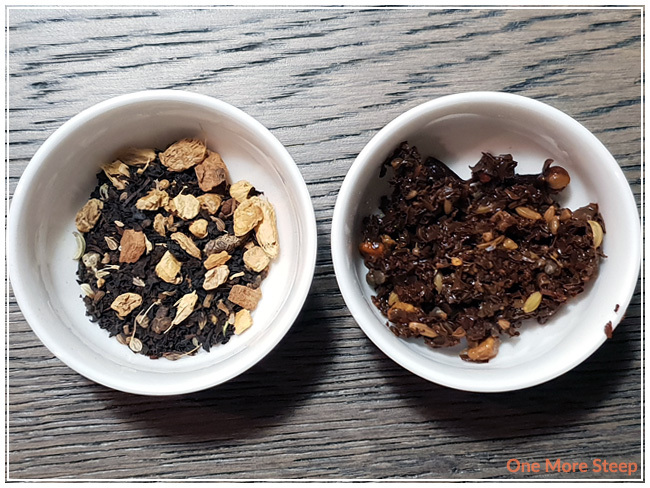 I really enjoyed the flavours of the spices in this black tea blend, it really did hit the notes that I’m looking for in a chai. While the cardamom could have been a touch stronger, it was brought out by that little bit of honey that I had put into the tea, so I really did like how the flavours were susceptible to being coaxed out by a bit of sweetener. If you’re not too into sweet teas, Masala Chai does have a light sweetness to it, so the honey isn’t necessary.